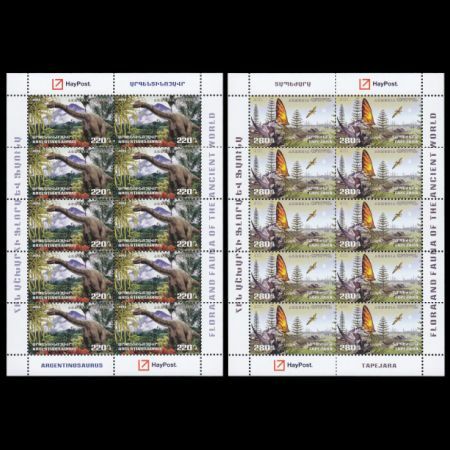 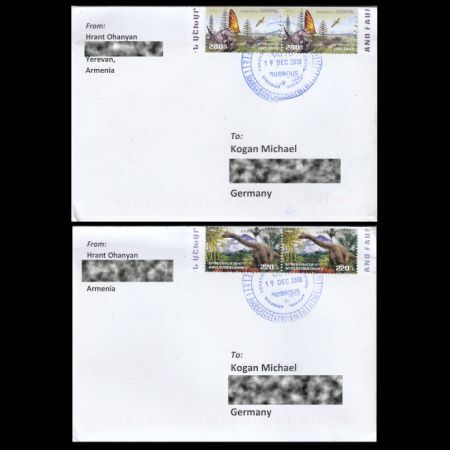 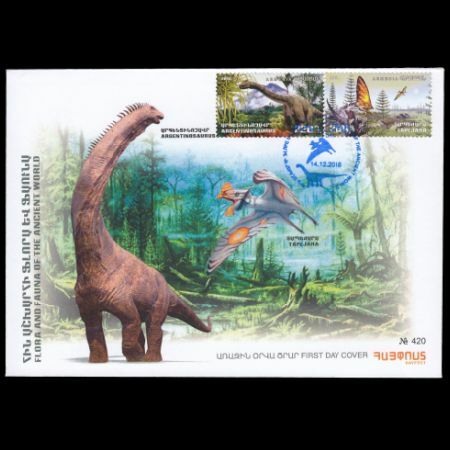 Armenia 2018 "Flora and fauna of the ancient world (II)"
On December 14th, 2018 Post Authority of Armenia - Haypost - issued a set of 2 commemorative stamps, shows some prehistoric animals - flying reptile: Tepejara and Argentinosaurus dinosaur. 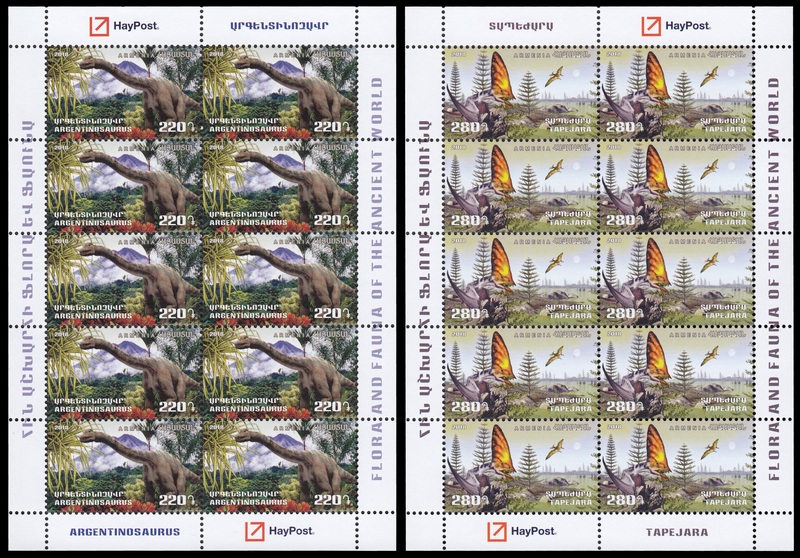 Even though some dinosaur's fossils found in Armenia, it was not enough to associate it with any particular specie, due this reason "classical" dinosaur and pterosaurus are depicted on the stamps. 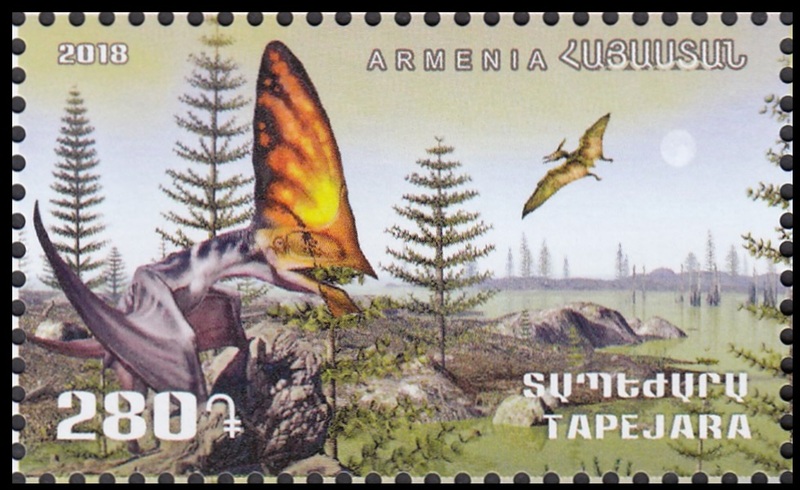 Tapejara (from a Tupi word meaning "the old being") is a genus of Brazilian pterosaur from the Cretaceous Period (Santana Formation, dating to about 112 Ma ago). 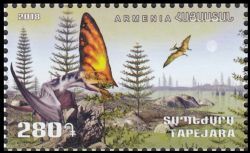 Tapejara crests consisted of a semicircular crest over the snout, and a bony prong which extended back behind the head. 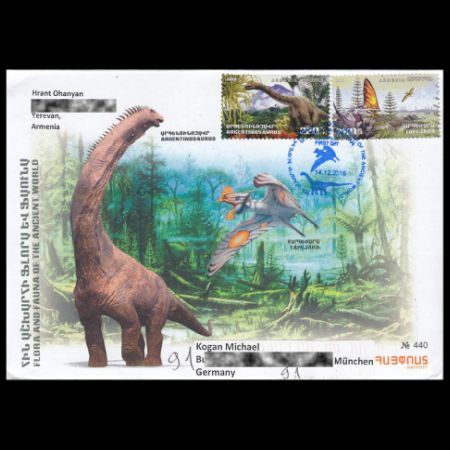 Argentinosaurus (meaning "Argentine lizard") is a genus of titanosaur sauropod dinosaur first discovered by Guillermo Heredia in Argentina. 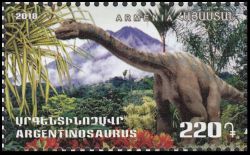 The generic name refers to the country in which it was discovered. 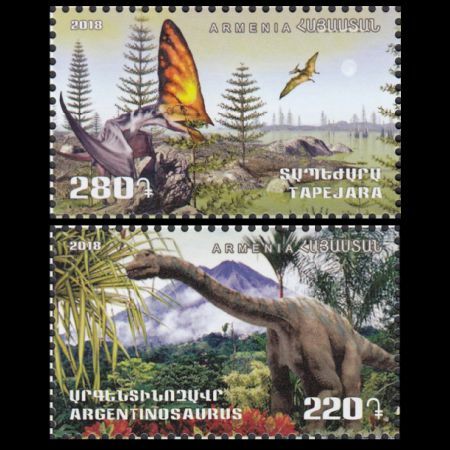 The dinosaur lived on the then-island continent of South America somewhere between 97 and 93.5 million years ago, during the Late Cretaceous Period. 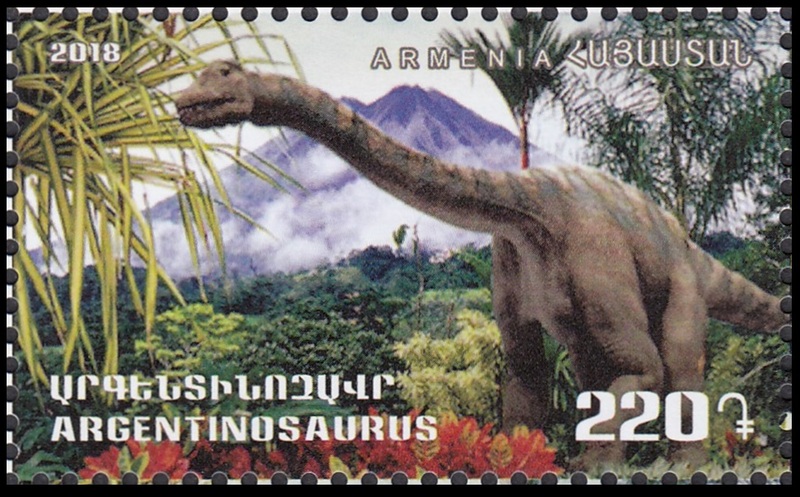 It is among the largest known dinosaurs.